250 | I Love Cafe Racers!!! The idea seen here is kind of unique for the cafe racer scene. Stuff a quarter-liter late-model liquid-cooled engine in a fairly small bike, and then you’ll have a bike that screams like a banshee, but probably isn’t much (if any) faster than the original. In fact, the Ninja motor probably puts out less horsepower and torque than an in-tune CL/CB360/350 motor. But boy would this surprise anyone who happened to hear it scream by. The idea equals a potential win. And another plus: rear-sets! Up on eBay right now is this really eye-catching Suzuki 250 project bike. All was well until I read that it has no papers. And then I read that the motor has no numbers on it. And then I read that the frame is missing numbers, too! If you have a way around this little problem, this is a really nice looking bike that needs a lot of work to be completed. I believe this is at least the second time this bike has been posted on eBay for sale. I wrote about it before, but apparently that did not help enough as it didn’t sell back in December. Although I no longer work at eBay, I will hazard a guess that your reserve is too high. I once posted about a bike that had an opening price of $100K, but that didn’t work out so well for the seller. I really appreciate all that you have done to this bike, but perhaps the price is too high for eBay? I’m not sure what it costs to build such an awesome bike as this (Click here to see previous post). However, I am sure it is quite a lot. It is an awesome bike, but I need some new material to blog about. Perhaps you could lower the reserve a bit so that you could fund your next awesome cafe racer build-up. I have posted about two other bikes you have cafe’d, and I really like your style a lot, but there is only so much I can do with relisted bikes. 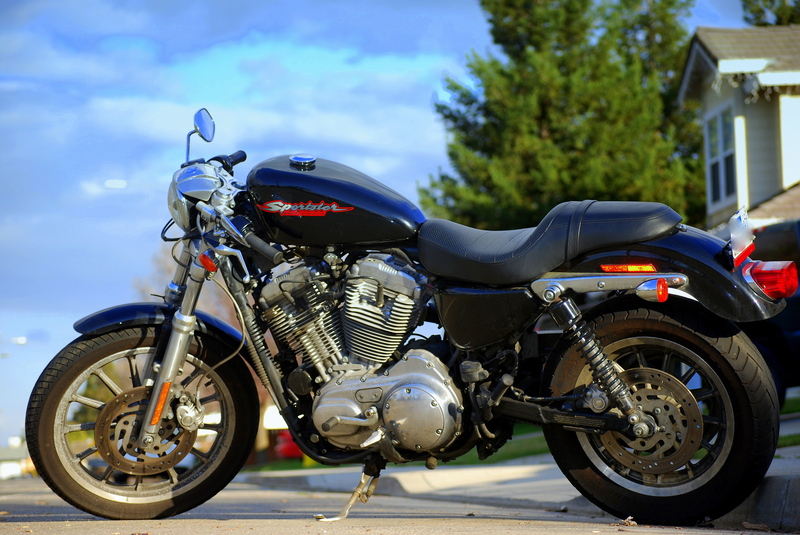 If you would like, I would post a permanent post as a sale listing at the price you really want to get so you can continue providing the world with very cool motorcycles. This bike is cosmetically clean, although some parts are not original. The seller has a very low starting price ($500), but an unknown reserve. And the bike doesn’t currently run. I think this would make a good starting point for a cafe build, especially because it isn’t necessarily original. There will be less angst when tearing it apart that way. But the Nighthawk shocks might actually be good on there (certainly better than 40 y.o. shocks). That’s a really nice bike, but how much?!?!? UPDATE: I did a little research, and visited the seller’s website: michaelsmotorcycles.com. The price is just over $3K. Whew! This is one of the nicest cafe racers up on eBay right now, but WTF is up with the price? I get trying to use eBay as a lead generation tool. I don’t get putting a $100K price tag on a 1972 Suzuki done up as a cafe racer. Am I missing something? Can someone please explain? Or at least let me know what the bike is really worth?